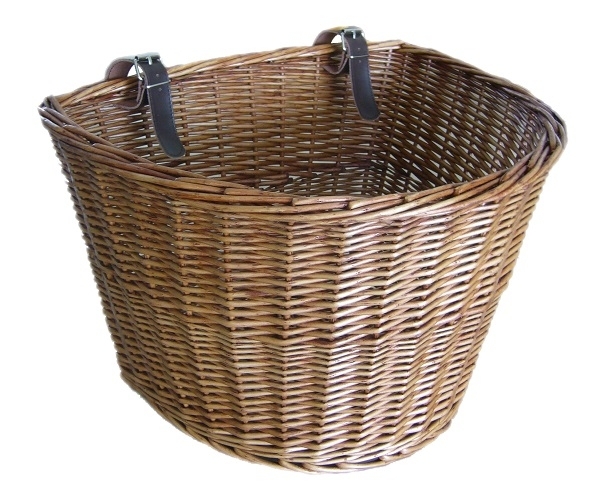 Full double steamed willow wicker bike basket. 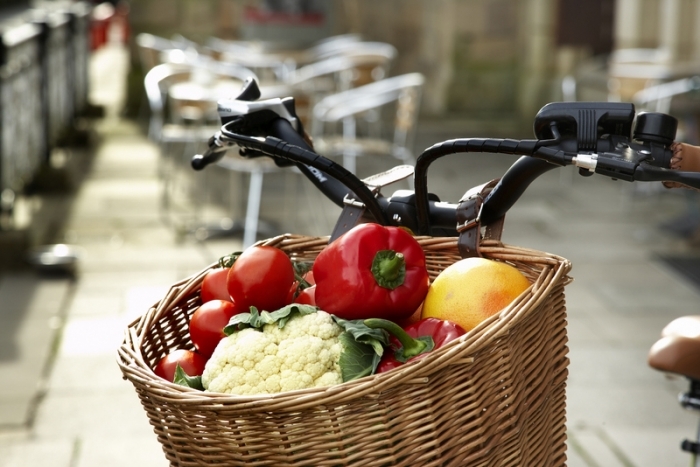 This bicycle basket comes with dark brown real leather straps x 2 (each 25cm long). This basket measures; 440 x 370 x 290mm. Ideal solution for carrying objects whilst riding your bicycle. 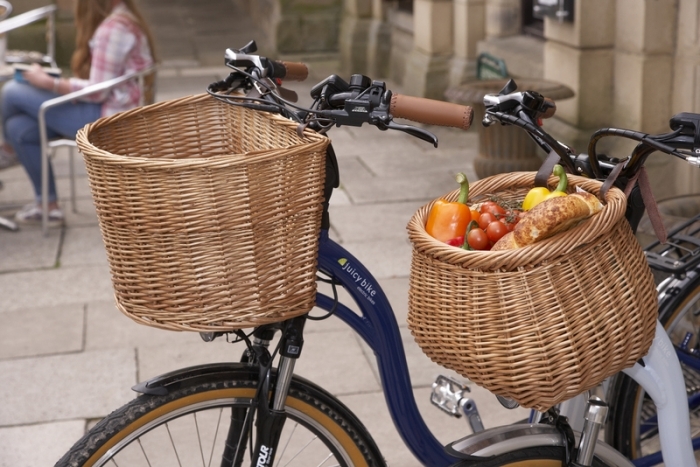 Full double steamed willow wicker bike basket. This bicycle basket comes with dark brown real leather straps x 2 (each 25cm long). This basket measures 440 x 370 x 290mm. Ideal solution for carrying objects whilst riding your bicycle.